Do you feel pressure on your eyes after working in front of the computer screen for a long time? If so, here’s the good news for you. 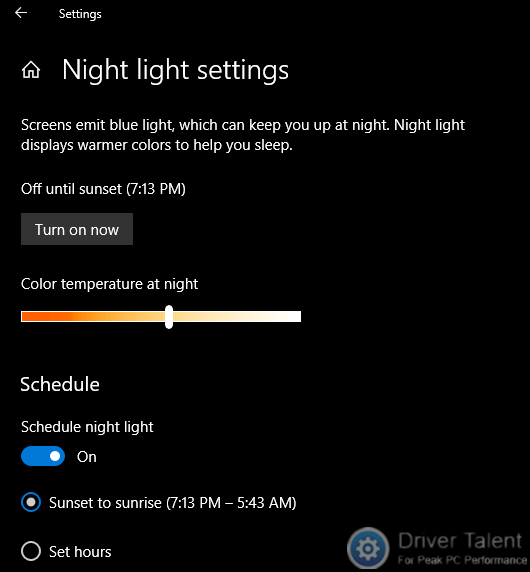 Microsoft has rolled out a new feature called Night Light in Windows 10 after Windows 10 Creator Update. What’s Night Light? 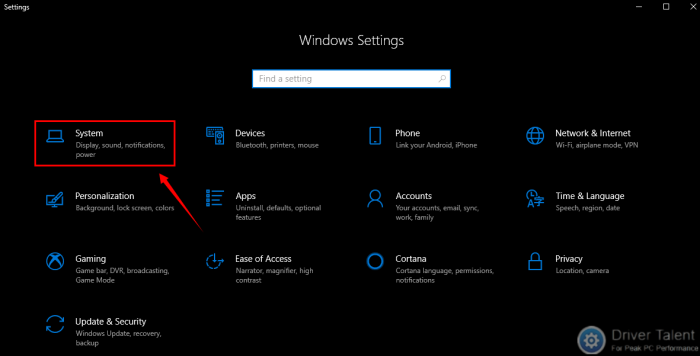 How to enable Night Light in Windows 10? Here is the guide for you. Any glare coming from the computer screen or any reflective surfaces can cause eye strain, especially the blue light. Night Light is such a display mode designed to relieve eye strain and help improve the sleep quality by decreasing the blue light emitted by your computer screen at night. When you enable the Night Light mode, the color of your screen will become warmer. It will make your eyes more comfortable and help you fall asleep faster after staying up late working on your computer. 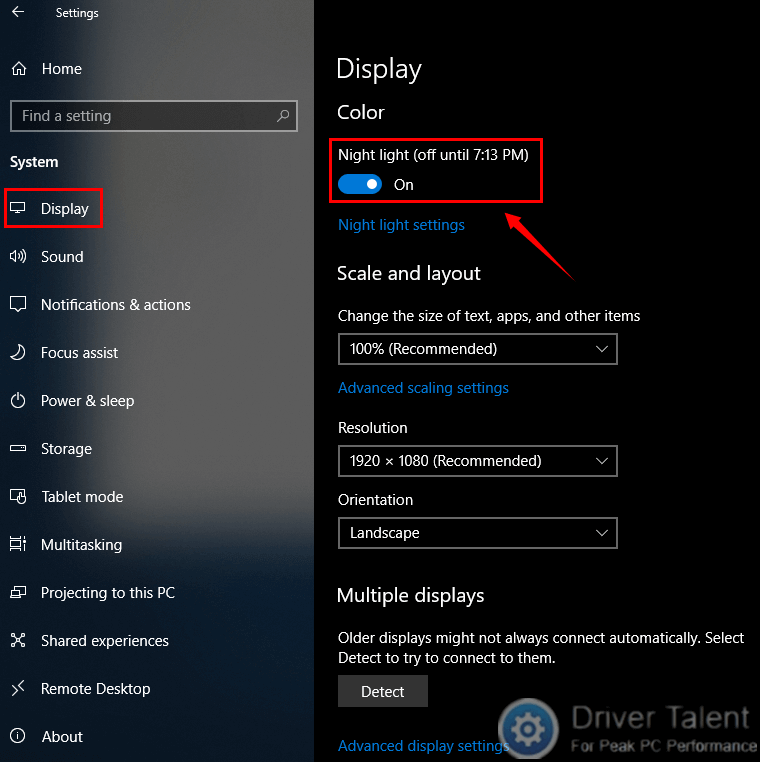 How to enable Night Light in Windows 10? Follow the steps below to enable Night Light on your device. Step 1. Press Windows + I to open Windows Settings. Step 2. Click on System. Step 3. In Display section, you can find the Night light under the Color in the right part of the window. Turn on the toggle switch under the Night light. Then the Night Light is enabled. It will be on when the setting time arrives. If you want to adjust the Night Light settings, you can click on the Night light settings under the toggle switch. Then the Night light settings page will be open. You can change the color temperature and the schedule in it. Refer to the steps above to enable Night Light and have a try right now. Welcome to leave comments below if you need more help. More solutions to other computer issues like no sound, no Wi-Fi available, blue screen, black screen or microphone not working can be accessed on the official website of Driver Talent.